Advertising and marketing your company is one of the most important aspects of your business. How you advertise and where you advertise is vital to your success. How is anyone going to buy your goods or services if they do not know who, where you are, what you do or what you sell? 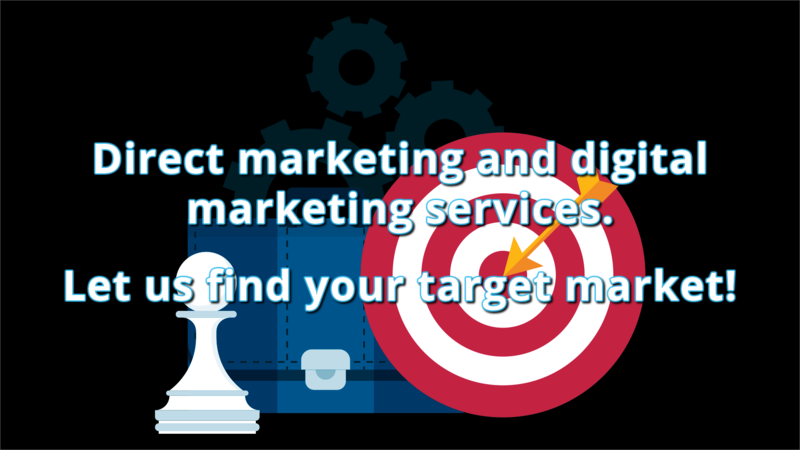 Using our targeted advertising techniques and services we can help you and your business reach new levels of success, and if you are new company looking to get a boost into the marketplace you are in the right place to make that happen. We offer all sorts of digital and direct marketing services such as email marketing, email list rental, local email marketing, banner ads, mobile application advertising, and much more. If that wasn't enough we can build your website too and we don't just build websites we brand them and bring them to the public, and make them easily searchable. We stress to all our clients that businesses need to be visible everywhere, and repetition is key! In addition to our online services we also offer traditional services. Word of mouth is not enough in today’s interactive world. Your company name needs to become synonymous with what you do and the first name that comes to mind when customers need goods or services like yours. Simple, everyone wants to make more money and be successful. We provide the tools and services to help make that happen for you! When you think of copy machines, what pops in your head first, Xerox? This is what we want to accomplish for you, to be the first name people think of when they need what you do or sell. We take an objective look at your business, customers and industry. We research your competition, and apply a new strategy customized to your business. From concept to finished app, if you are looking to break into the emerging market of Android Apps and don't have a huge budget to spend - we can help! Tell us your idea for an app and we will conceptualize and build it for you using the latest Android technologies and SDK frameworks. Please contact us today to discuss your next app idea. Looking to create an online business? Look no further, with our 15+ years of online experience. We can deliver a quality website package that fits your needs and budget. Make sure and ask your sales rep about our Search Engine Optimization (SEO) when you call! Contact us today about your next website project! If your website doesn't quite meet today's standards for cutting edge content and technology; we can help! Whether you want to simply add a new logo, change the navigation, or just modify some of the content we can do that for you. Contact us for a free estimate. If your business is growing faster than your online presence, we can help! Depending on the current technology you have employed on your existing web presence we can add to it, modify parts of it, add widgets, apps, and other revisionary work. Even if all you need is a simple email form, or survey add-on, we can do that for you as well. Give us a call today for a quote. CMS administration using Joomla, WordPress, or Drupal. We can build your site using any of these technologies. Depending on the CMS platform you choose the options for each system will be different, so be sure and check with us to see what is best for your business type, size, and budget. 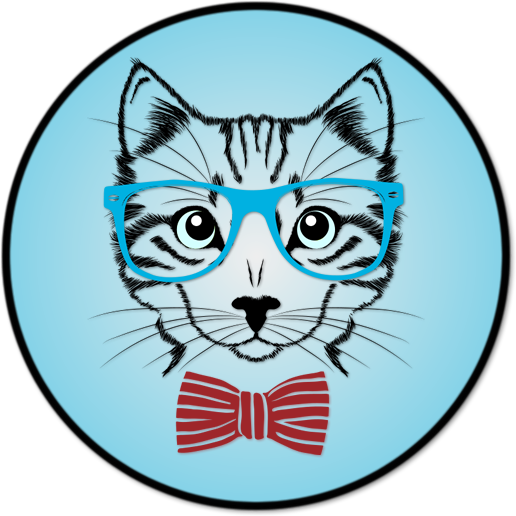 Let the experts at HepCatsMarketing.com handle the science behind SEO. 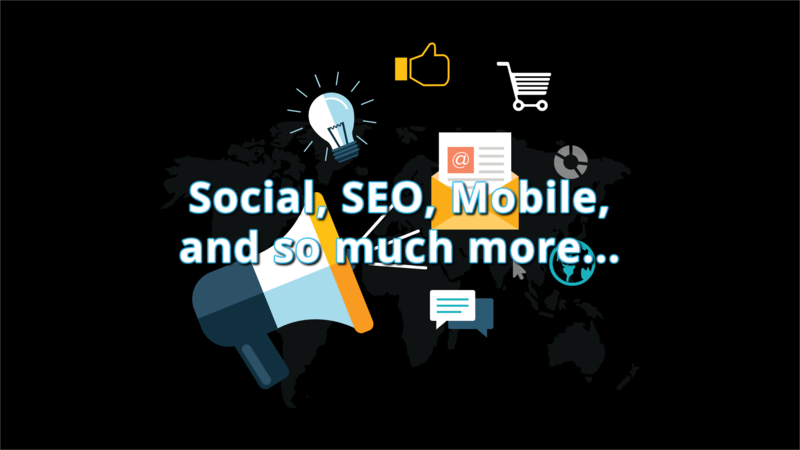 We take the confusion out of this process and handle; the creation of link-back pages, site maps, analytic management, as well as keyword revamping, description and meta services. We can take you from the bottom rank to the top in a few months (results vary). Contact us today for your next SEO project. At Hepcatsmarketing.com our email and opt-in services feature a vast network of data partners and our own internal databases. These databases are comprised of billions of user profiles, with a massive market reach of nearly 75% of the actual US market! Unprecedented in the growing email marketing industry! 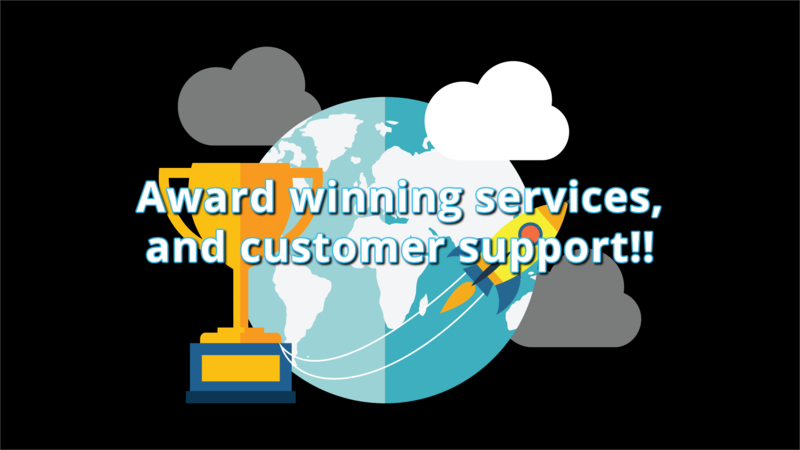 On top of one of the largest data pools, we also offer award winning customer service with targeted counts in less than 6 hours while most are reported received within 30 minutes. Information turnaround gives our customers a HUGE competitive advantage. 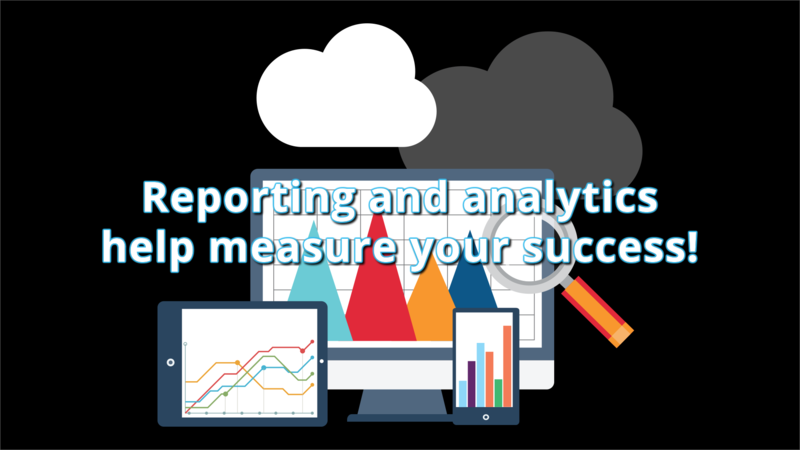 Time is money, so getting this information and data back to you faster is key to your success. As a client of Hepcatsmarketing.com this means that we have access to one of the largest verified pools of data available. We have numerous filters to apply and select from as well as various other databases with 1000’s of applicable interests to overlay as well as behavioral information on data such as car buying, home buying, renting, as well as life-style information. We draw our counts from our own database as well as a network of mailers and data partners. From that pool we can pull data from a massive list of filters, ethnicity, demographics, psychographics, select categories, interest categories, specialty lists, ailments and much more. Data is collected through a variety of methods, including surveys, co-registrations, direct registrations, mail-in offers, rebate cards, subscription services and more. We draw from the total pool of available records depending on the situation and criteria for a job. Meaning we shop some of the biggest mailers in the US, with their licensed partners and data partners to put together the most comprehensive count possible for each project. We know that for some businesses contacting other businesses and service providers that may need or want your service or product is vital. We have 100s of SIC and NAICS codes in our system to help you find the right industry for your next B2B project or list need. Whether it is a huge company or a small home-based business, at Hepcatsmarketing we can find the title, and the business you are looking for. We have a total B2B universe of over 216 million Business profiles, with a unique count of 54.2 million unique business records. This allows us to have a big market penetration for B2B, and reach the businesses our customers want to target. We offer plenty of categories to select from within our B2B marketing lists and databases. For more details please speak to a Hepcatsmarketing.com representative and be sure to request a count so you can see for yourself what separates us from the competition. Hepcatsmarketing.com boasts high email delivery and inbox rates. We have great relations with ESPs and ISPs through-out our network and partnered networks we deliver with. All emails are throttled-back to ensure the best in inbox delivery possible - no mass amount of bulk issues here! Once you decide to run a campaign through us you will have access to our online HepTrack® Online Campaign Tracking System. You will have a personal login to review any campaigns you have run with clicks, opens as well as the percentages of click to sent, and open to sent ratios. These online stats are updated from our redundant logging platforms on a 72-hour basis once the campaign has finished deployment. In some cases reporting will be uploaded sooner, depending on the size of the campaign and how many other orders we have running with it. Feel free to fill out the form to contact us. We look forward to hearing from you soon! Looking for iThomSolutions.com or FLBTEnt.com corporate contacts? No worries! Reach out to them here, we have joined all three of our websites into one to help us serve all of our clients easily and efficiently. Copyright © 2012 - 2017 Hepcatsmarketing.com.